Podcast S8E05 – Cars that turn into planes, IPV6 magic, your tech questions + more! Cars that turn into planes, IPV6 magic, your tech questions + more! 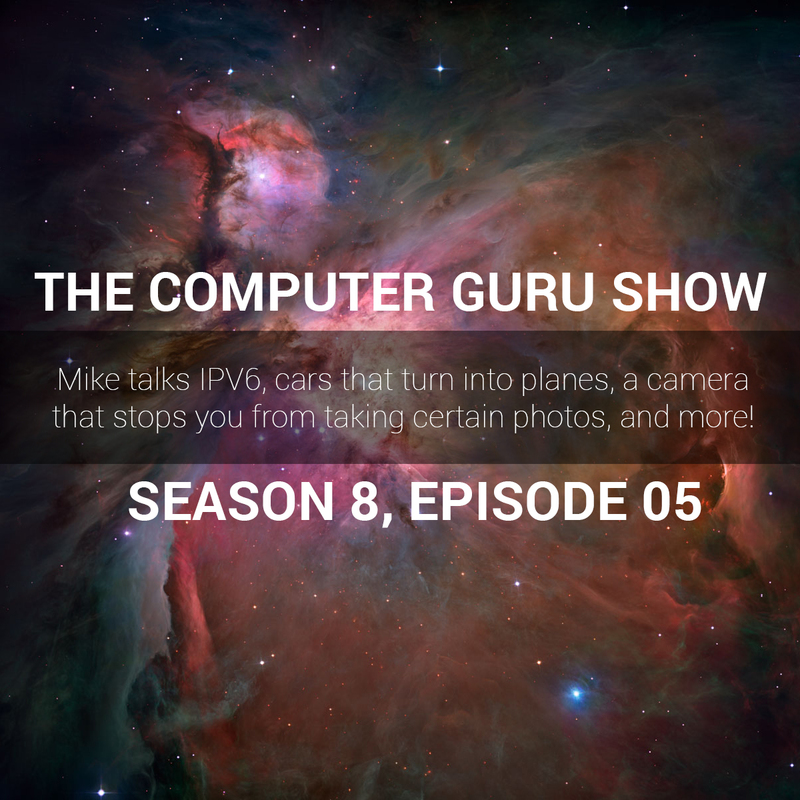 Mike talks IPV6, cars that turn into planes, a camera that stops you from taking certain photos, and more!